Entry Requirements: 5 GCSEs at grade 4/C or above including Mathematics, English and Double Award Science, or a Level 2 equivalent in this area and GCSE Mathematics and English. 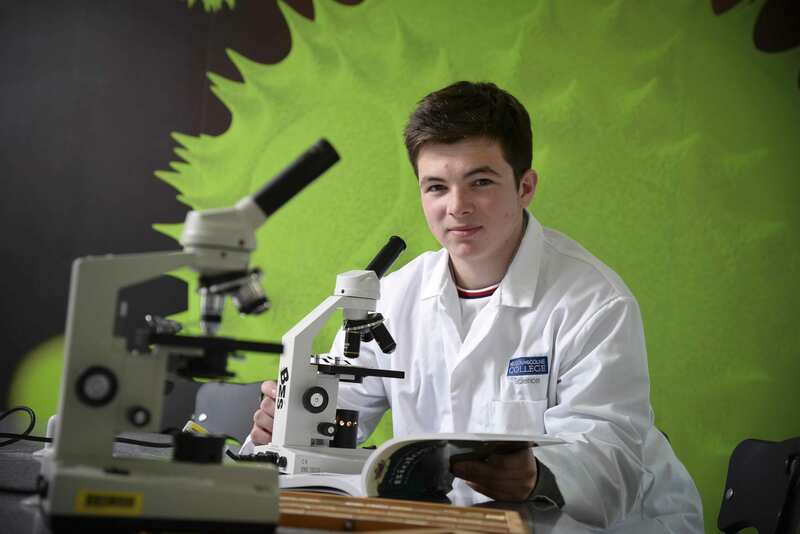 You will continue a broad, yet in depth study of Biology, Chemistry and Physics which will give you a range of skills and knowledge applicable to various science based degree programmes, Apprenticeships and careers before specialising in Year two. You will be assessed by written assignments in each unit. They are graded Pass, Merit or Distinction. For every assignment you will receive an assignment brief which will clearly outline what you have to do for the assessment and how you can achieve your grades. On the BTEC Extended Diploma your final qualification will show three grades e.g. D*D*D*, DMM, MMP. The three grades reflect the fact that your BTEC Diploma is equivalent to 3 A Levels. Progression onto HE requires a minimum MMM grade profile.